This week in our perfectionism series, I have shared a lot about letting go of perfect in the area of homemaking and house cleaning. It’s hard to keep it in perspective because on one hand, we are called to care for our homes and our children. But like anything, our homemaking can become an idol and we can let it come between our relationships. Sometimes we aren’t as hospitable as we should be because we wouldn’t dare have friends over without vacuuming first. Other times, , that perfect house gets in the way of the relationships in our families. We’re too busy cleaning and caring for the home that we don’t have enough story times or game nights. We don’t let the kids tackle messy art projects. It’s usually not the task that’s wrong. It’s the heart attitude behind it. When I’m struggling with balance, here are a few questions that I ask myself to check my heart attitude so that I can let go of perfect in different areas of life. It’s a perfectionism barometer of sorts. 1. Will saying this or doing this glorify God or glorify me? We need to check our motives and our hearts. 2. Am I putting tasks before people? This is a big warning sign for me in my life; I often find myself putting the tasks of homemaking above the people around me. My husband doesn’t want freshly mopped floors as much as he wants a wife to watch a movie next to him. 4. Am I doing this task to the detriment of my family? We often sign up for tasks at church or elsewhere and our family ends up suffering for it. I try to sign up to bring a meal at a time that I know will be convenient to my family. I also try to double the dish I’m bringing so that my family doesn’t feel like they’re missing out. My kids would be bummed if I brought brownies to a mom with a new baby, yet they had no dessert at home. 5. Why am I saying no to my child? Is it truly off limits or simply an annoyance? We’ll talk more about parenting next week, but if you struggle with control, like I do, then I know you’ll recognize this habit. We tend to say no to everything, simply because our kids are asking at a bad time. Or at least I do. 6. What are some things I can say yes to my child about? If you struggle with saying no too often, then look for things you can finally say yes to. I’m really working on this one! 7. Am I worrying? If so, then I stop and pray. I then have to practice taking my thoughts captive. I focus on what is true, right, and lovely and consider God’s sovereignty. He brings me peace. You can read about taking thoughts captive and fighting fear with scripture here. 8. Why am I still up? Am I the only one who stays up too late trying to get something just right? Maybe it’s a meeting agenda, a spotless kitchen, or a perfect blog post image. 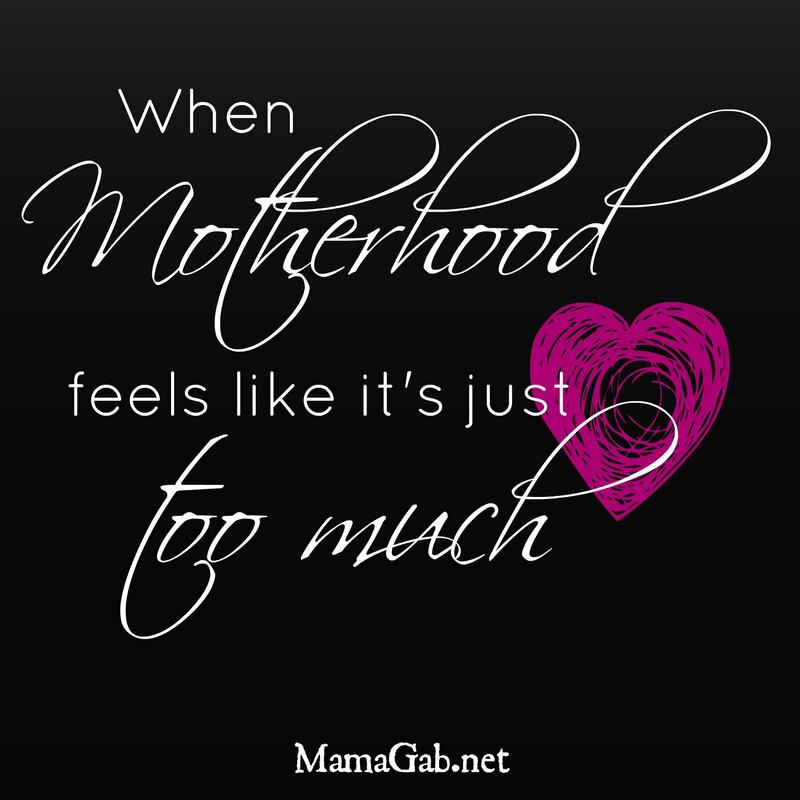 Either way, sometimes we just need to say it’s “good enough.” Sleepless mamas are grouchy mamas, and grouchy mamas aren’t patient with the little bitty people we’re in charge of. God bless you for this series!! I struggle with this a lot and seeking man’s validation over God’s (not even realizing I am doing it). I am becoming more deliberate on listening to The Lord and seeking His will for our precious lives!! I have learned so much since becoming a mother and a lot has been from our precious babies:)!! It’s amazing how God uses them in our lives!! Thank you for your honesty and openness!! I’m so glad you’re enjoying it, Michele. I struggle with that too. His approval should be all that matters to me. Thanks so much, Cody. We need to check our hearts frequently.